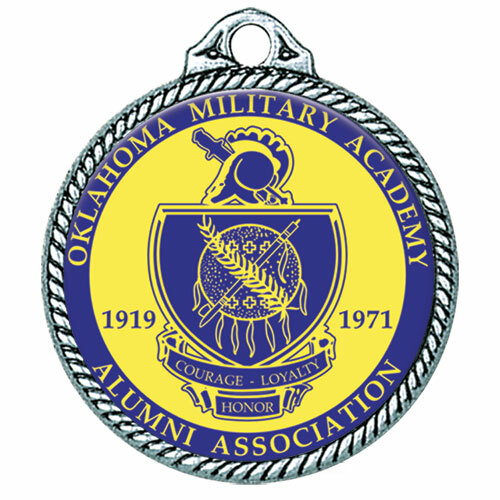 A 2-inch full-color medal with a sculpted rope border. Can be produced in 1 week, with rush production available. Each medal includes a full epoxy dome to enhance your full-color emblem. An epoxy dome is included.